Artemisia Gentileschi (1593-1658) was one of the most accomplished Italian Baroque painters. One of the few (or only) women to achieve such success at the time, Gentileschi followed Caravaggio in depicting scenes of great drama and passion. She was the first woman admitted to Florence's Accademia di Arte del Disegno. This was a controversial painting in its day, containing progressive feminist themes. It was quite common for abstract concepts such as the arts or virtues to be represented with female allegorical figures, but by making the painting both an allegory and a self-portrait Gentileschi positions herself as the paragon of artistic achievement. However, this painting is not only about Gentileschi as an artist, but about women in general. She uses the allegory as an empowering concept and demonstrates what women are capable of. The painting itself is a stunning example of Baroque portraiture. The first element that strikes me is the use of light: Gentileschi's face is perfectly lit, bright but realistic and the contour of her face is beautiful. The dress is exquisitely rendered so that the folds of the fabric seems so real and the texture is almost tangible. The dark background (a common technique in Baroque painting) also seems quite textured and real. 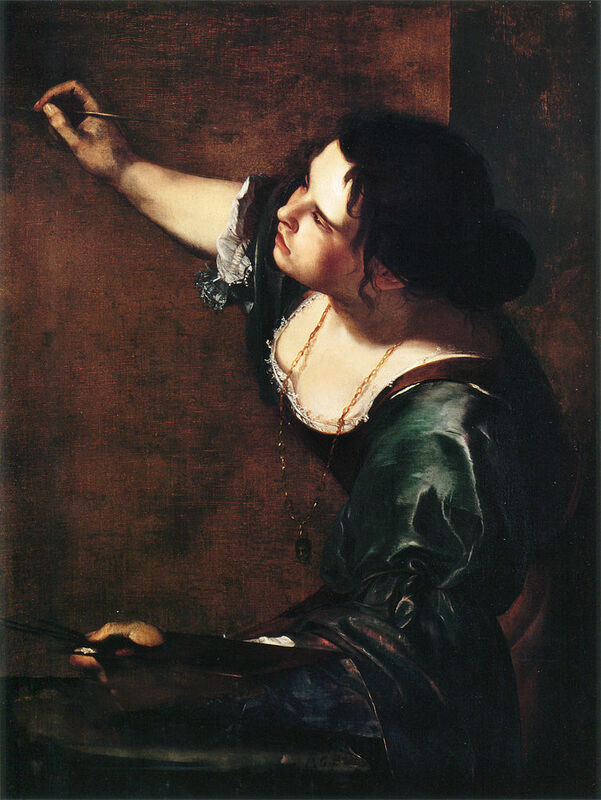 Gentileschi's expression shows her dedication to her work, for she has depicted herself in the midst of painting. This piece is a beautiful demonstration of the artist's skill and conviction.